" So, I want to order everything I need for maximum results, all in one shipment..." He emailed me. Dual pulley with silicone belts, aluminium sub-platter, underslung counterweight, motor isolation base and adjustable feet were delivered to him immediately without delay. All upgrades have been completed on my RP6 turntable. According to my technician, all work went smoothly and he is very impressed with the results. I am picking up the TT tomorrow and look forward to enjoying the great analog sound. I will get some photos and detailed comments tomorrow and pass them on to you. You were correct ... It was premature of me to complain about it. What I have found out through listening tests is that the cartridge has a very good mid-range ability to capture the sounds at that level of the sound spectrum. My Tannoy loudspeakers were set at max mid-range, thus when I played back the vinyl, it was too bright (too much mid-range). It was annoying me, until I set my speakers at one notch lower on the mid-range knob, and results are incredible. You wouldn't believe such a simple adjustment can transform the entire sound, but it does! My system sounds as good as Pro-recorded vinyl I have from systems costing over $100K, so I am extremely happy with my results. Another important adjustment (tweak) I made was I used an "effect" on my Audacity recording software called "Amplify" which maximizes the volume of the recorded vinyl while ensuring there is no clipping. This made a major improvement in the playback sound of the recorded vinyl (it makes a big difference to ensure the recorded vinyl is at max volume levels). These 2 changes (and of course your upgrades to my Rega RP6 TT) have finalized my search for vinyl audio quality, and I can rest easy now, knowing I have achieved my goal in creating professional sounding digital recordings from vinyl records. In my opinion, as a general rule, the vinyl does sound better than cd. This is why we go to such lengths to get the right equipment for the vinyl. Thank you, Michael, it has been great dealing with you. 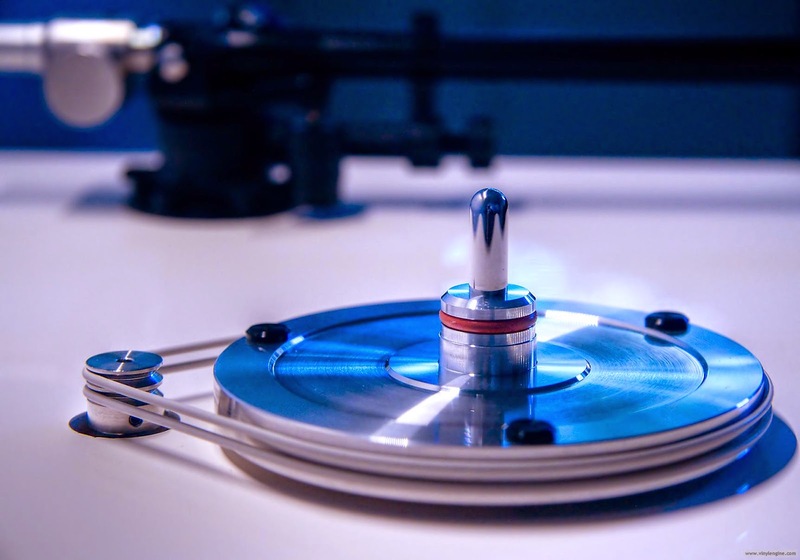 Try to recall if you have a long forgotten Rega Planar TT hidden somewhere in your store? It may be over 30 years old! But don't worry, it's still a gem; it could be restored to much better sounding deck out-performing many expensive rigs ! I’ve been looking over my old vinyl collection and found some great old music I haven’t heard for a longtime. I brought back to service my old Rega Planar 3 and discovered it needed some attention. 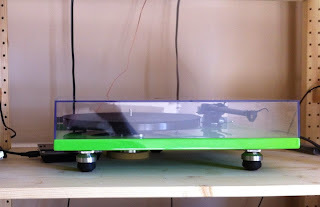 At the same time I found your upgrade products and decided to incorporate them in my turntable restoration. The plinth was where I started. The current Linn tonearm uses a slightly different mounting position than the former Grace arm. The result was a larger than necessary hole in my plinth, an open semi-circle shape. I filled this in with a half wood dowel and some epoxy putty. Now the structure is as solid as new. The Linn tonearm base completely covers this on the top surface. I made a sheet metal cover plate for the bottom, it may offer some shielding from electronics below and it looks nice with your stainless steel bottom brace. 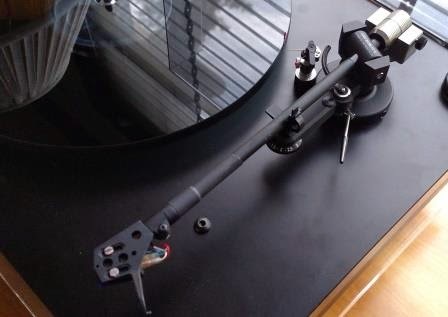 The brace installation was super easy, the feet mounting on early Rega Planar tables is slightly different from the brace attachment holes, but it was a quick fix with a file. The plinth is solid and stiff. Your adjustable aluminum feet were the perfect solution to my issue with the Linn tonearm cable. The cable extends past the height of the stock feet. The additional height of your feet solves the problem, look great, and perhaps aid in vibration dampening. Some teflon tape around the threaded feet posts snugged up the fit. Your acrylic isolation base inspired me make my own. A local plastic shop sells acrylic sheets cut to size. A 1 inch thickness was perfect. Mated with 3 Vibrapods and cones acoustic feedback is now gone. The Rega 24 volt motor upgrade was installed with a new belt, metal pulley, new cork mat and your aluminum subplatter. The subplatter is very impressive and a distinct improvement over the stock piece. The new drive system is quiet and very precise. I then decided to go all the way and added the Rega PSU for total speed stability. My old Supex SD1000 cartridge sadly, sounded terrible, it was long overdue for replacement. An Ortofon 2M blue took its place. In adjusting the counterweight on the Linn Tonearm, I found the elastomer in the counterweight had turned to gooey mess.I adapted your underslung counterweight to the Linn Arm. The sleeve you provided, with a strip of plastic from a film canister and some shrink tube made for a perfect fit. The weight’s reduced profile now allows the dust cover to be closed. The cartridge was aligned, VTF and anti-skate set and magic happened. I can’t remember my vinyl sounding better. Bass was deep and tight. Vocals focused and the highs are delicate and crisp. Background noise is unnoticeable. Your mods and website were the inspiration for the restoration. From correspondence I could feel Daniel of Montreal is a very careful person in tweaking his Rega P3-24 turntable. I am glad that he is willing to give my stainless steel double pulley a try. Most importantly, he can happily enjoying music which is more focused and sharpened up with this upgrade. I have had the double pulley for a few days now. I am very happy with this upgrade! The build quality and finish are very nice; it is very well made. 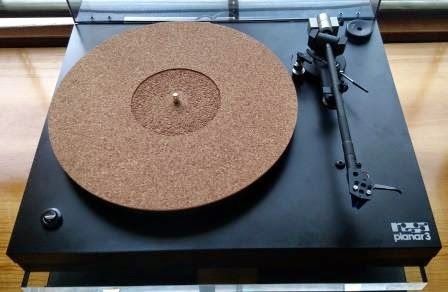 It would look at home on a much more expensive turntable. It has produced a very nice improvement to the sound. Everything sounds tighter and more controlled. I compare it to manually focusing with a camera through the viewfinder. The subject seems in focus, but a small turn of the focus ring on the lens puts it perfect focus . That is how the music has focused and sharpened up with the double pulley. The same improvement was present with jazz, pop, folk and everything else I have listened to over the past few days. I am very happy to have discovered this product! 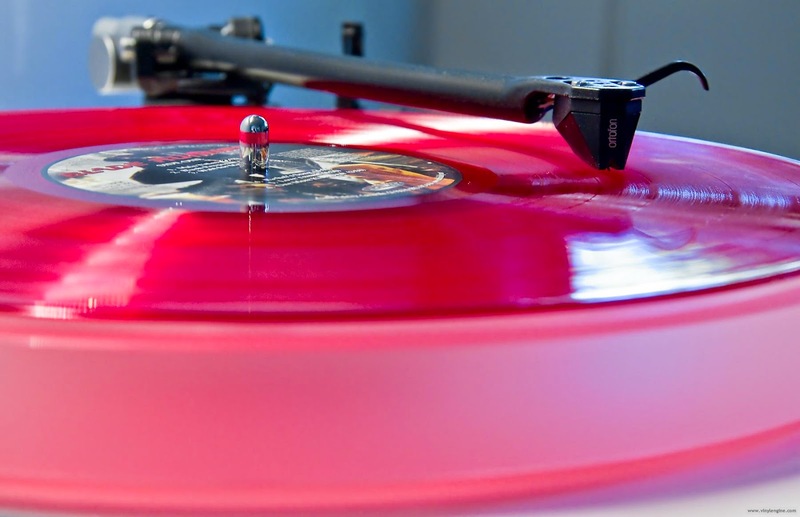 It has improved my Rega to the point that I could not live without it. 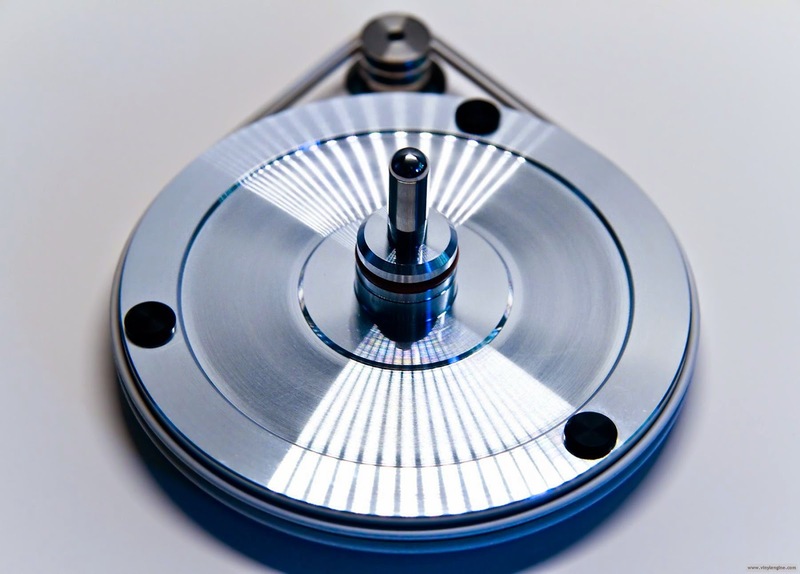 *Read more >> Daniel (Indydan)'s comments in Vinylengine on Double pulley upgrade.